One of Michael’s favorite times of year was awaiting after he returned from camp…the start of the college football season. He loved the hype, the predictions, College GameDay and watching all the action. He was getting ready to start something new on his blog and that would have included some video-blogging. In preparation for that, he spent some time earlier this summer working on a few of his predictions for the season. 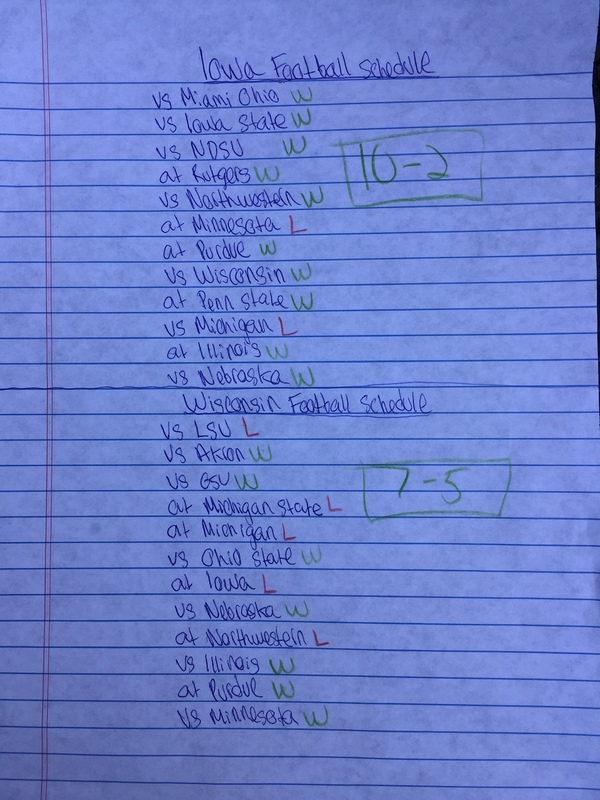 He completed predictions for eight teams in total, including his two favorites, Michigan and Oregon. We watched Michael work on these eight teams and saw him meticulously balance the wins and losses as he started this process, paying close attention to detail which would have carried through to those teams that he had yet to do. We will be eagerly watching Michael’s predictions as this season gets underway! 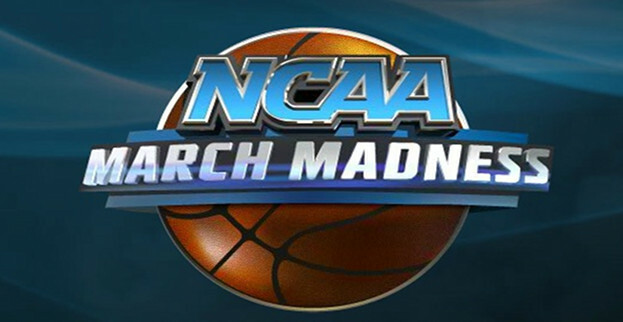 It is that time of the year again… The weather is changing, flowers are blooming, and best of all March Madness is on its way. The Selection show will be airing at 4:30 CT on CBS. Every time the brackets are revealed, the teams on the bubble draw all the attention. This would make sense, these teams are waiting on their postseason future. The bubble teams absolutely deserve all of the drama and attention, but with all of the parity in college basketball this year I thought it would be appropriate to focus on the top of the line. Most years we have a pretty clear picture of which team will be the #1 seeds, but in this crazy season, there might be 10 teams deserving of a top seed. Going into Saturday, there seemed to be a clear picture of the top seeds. North Carolina, Virginia, Kansas, and Villanova. Once Seton Hall’s Isaiah Whitehead banked a last second layup plus the foul, full chaos broke out. The Wildcats were knocked off their Big East throne and opened the gate for another team to sneak into a top seed. While the Pirates sunk Villanova’s ship in Madison Square Garden, North Carolina and Virginia were amidst a heavy weight battle in our Nation’s capital. The Tarheels held on to their early lead, and were able to escape D.C. with a number one seed as a lock. Virginia was not able to say the same thing. Although Virginia lost in the ACC Championship they still looked like one of the top teams in the country. It seemed very possible that even with a loss Virginia would be a number one seed. That was until the Oregon Ducks absolutely obliterated the Utah Utes 88 to 57, completing their sweep on the Pac-12 regular season, and tournament titles. 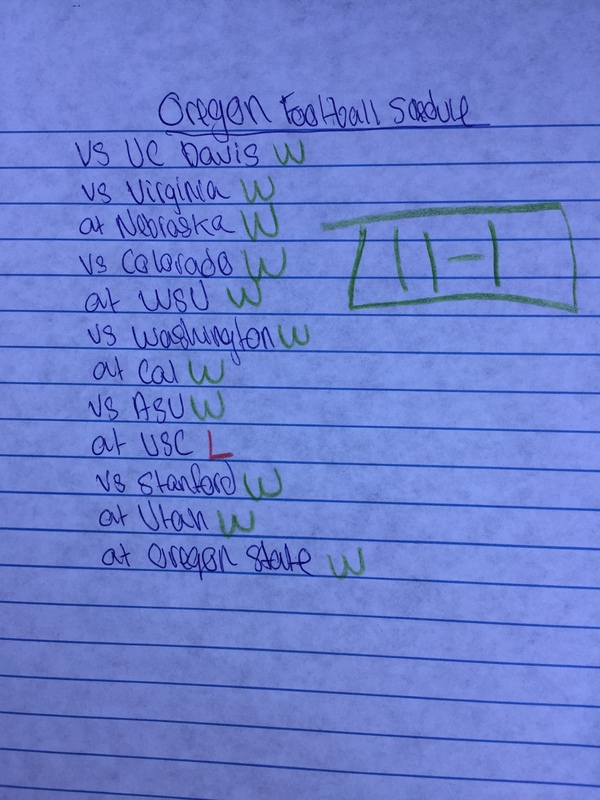 Oregon has quietly been having an incredible year. They ran right through the Pac-12 conference, and I believe right into a number one seed. Oregon has been playing some of the best ball, and their up tempo run and gun offense is almost impossible to stop. Oregon dropped 88 points on Utah, the top defensive unit in the Pac-12. When the Pac-12 champ has the fifth hardest schedule in the country, and dominated the competition, it would hard placing them anywhere lower than a one seed. 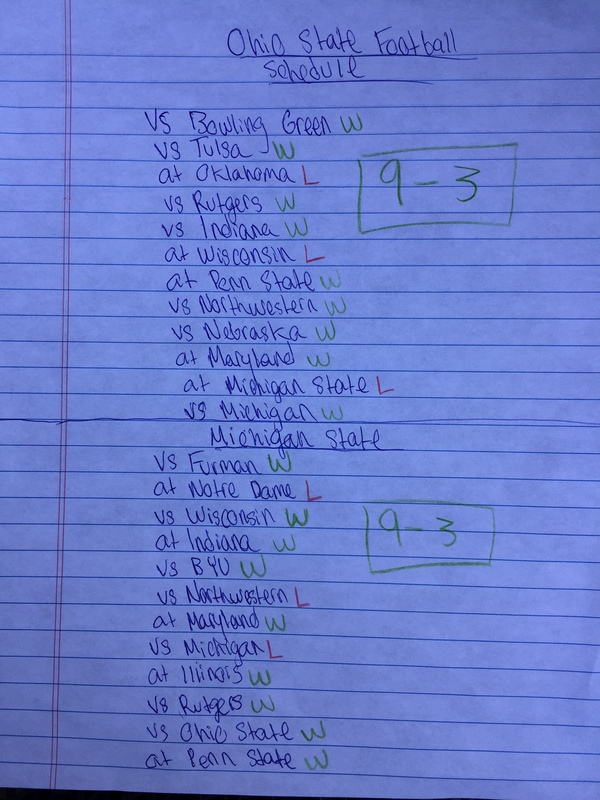 Michigan State also has a great chance of being at the top of the seeding, but they still have to beat Purdue today in the B1G Championship game. No matter if you are on the bubble or a top team, everybody will be anxious leading into the Selection Show. The second Playoff matchup of the day, number two Alabama vs number three Michigan State, is a tough old school game. These two teams are going to run the ball and play great defense. This is the formula both programs have used to thrive this past decade. After Alabama’s loss to Ole Miss early this year, Bama made a lot of changes, but the biggest difference they made was that they started to hand the ball to Heisman winning running back, Derrick Henry. He has been a complete beast this year, breaking the SEC’s single season rushing record. Alabama is going to have to continue pounding defenses with the run game. 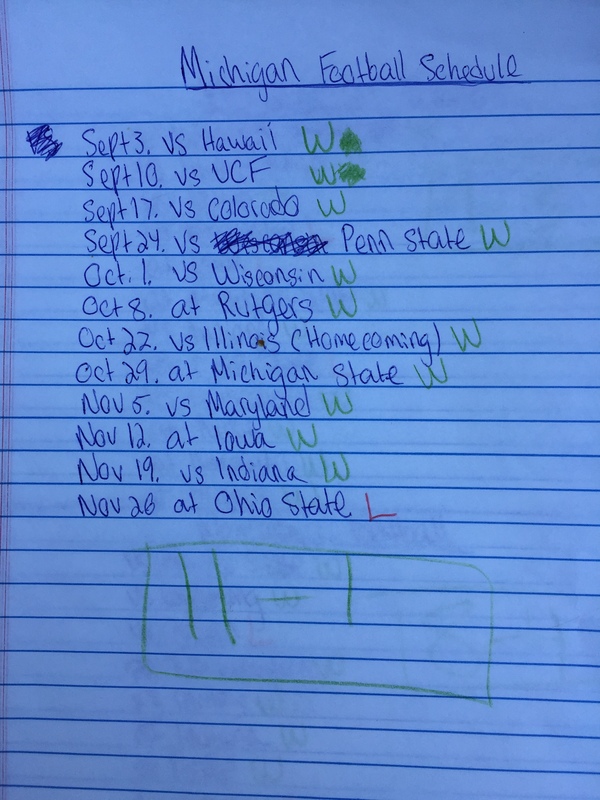 Michigan State has been a team of destiny, or it may be that they are just lucky. 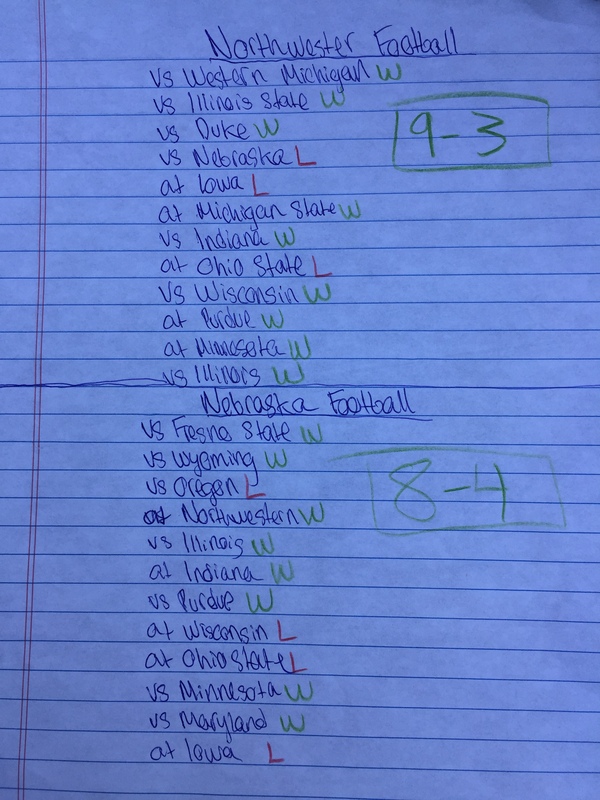 I am not taking anything away from Michigan State because it is really good to have luck on your side. It is just mind boggling how MSU has pulled out some of their wins. Connor Cook is finally healthy, and I think that is going to he a huge difference in the game. Madre London and LJ Scott, Michigan State’s two running backs are going to have to find some space against Alabama’s huge front seven. Michigan State will need to control the ball, run the ball, and keep the defense honest for them to have a chance in this game. This game will be full and drama and excitement. Reggie Ragland and the Crimson Tide defense will force Connor Cook into some trouble, but I do not think Jake Coker will be able to make enough plays against the Spartans veteran defense, and he will turn the ball over too many times like he did against Ole Miss. An outside viewer would think the Big 10 Championship game was incredibly boring this year, but trust me from a first hand experience this was the most exciting football game I have been to. To put this into context, I also had the opportunity to go to the all time classic 2010 BCS National Championship between Oregon and Auburn where Cam Newton broke the heart of all my fellow Duck fans. 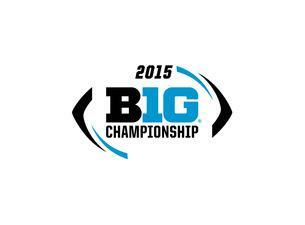 The excitement surrounding the city of Indianapolis, the the host city for the Big 10 Championship, was unbelievable. Everywhere you went, you would hear “Go Hawks” or “ Go Green, Go White”. As a life long Michigan fan, I have never hated to hear two phrases in a week, except of course “O-H-I-O”. This whole experience was so memorable for me, and that is why I am here to share it with you guys. 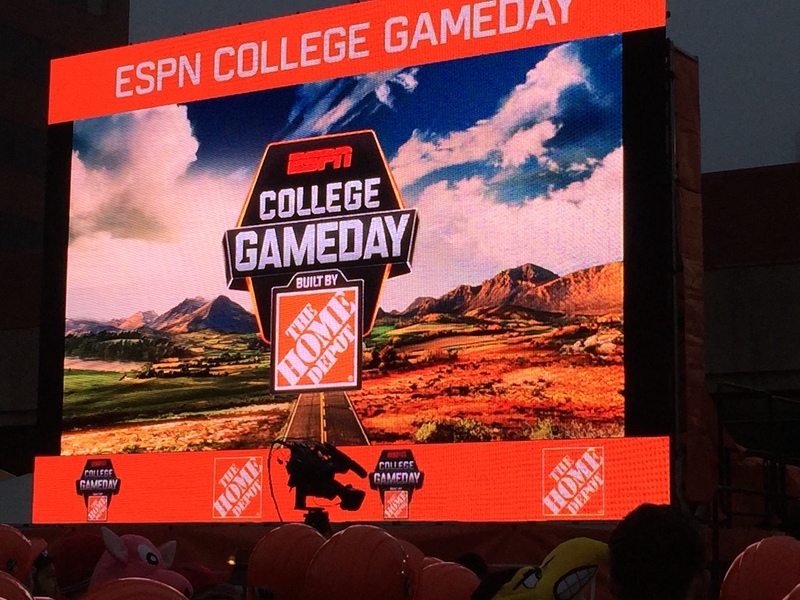 To start, my mom and I woke up at the crack of dawn to be in the front row of my favorite show, ESPN College GameDay. As anti-Finebaum and SEC signs filled the mob of the students and fans, the show was ready to go. Coach Corso played to the crowd, while Kirk Herbstreit was a trooper, as all of the Iowa and Sparty fans were not too kind to the former Buckeye. Hearing Tom Rinaldi touch the crowd with his powerful stories, seeing Des show off his dance moves during commercial breaks, and watching Chris Fallica, “The Bear” power down the famous flaming hot shrimp cocktail from St. Elmo Steak House, were all highlights of Gameday. My favorite moment from being at GameDay was when Heisman Trophy Winner, and one of my role models Desmond Howard saluted at me because of my Michigan hat. College Gameday was awesome, and I know someday that I will be at the desk as an analyst. 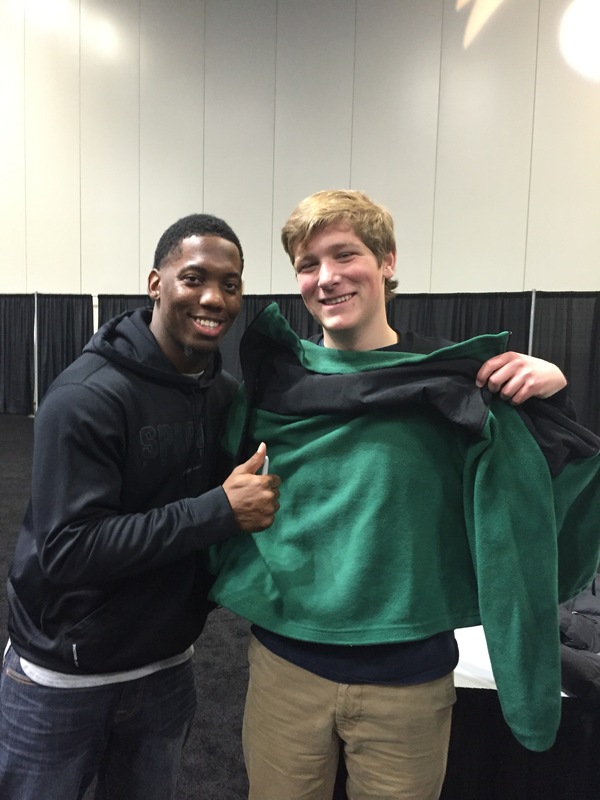 After Gameday I headed to the Big 10 fan fest, where I met former Michigan State, and current Cincinnati Bengals defensive back, Darqueze Dennard. Dennard was not a fan of my Michigan shirt, as you can see in the picture he put a green sweatshirt to cover the maize and blue. Dennard asked me how old I was, when I told him I was 16, he said there was still time for me change into a Spartan. Although it was cool meeting Darqueze, I still bleed maize, blue and khaki. I wish Darqueze and the Bengals lots of luck as they head to the playoffs. Fan fest came to an end, and I was off to Lucas Oil Stadium. The Hawkeyes came out to their signature “Back in Black” and the stadium was electric. It was crazy how many more Iowa fans there were, I really think the whole state of Iowa was in the Stadium. The defenses dominated the entire game. It was like watching the steel curtain vs the ‘85 Chicago Bears. I have never heard a stadium get as loud as it did when Trevaun Smith broke free for a long touchdown to put the Hawkeyes on top. Sparty responded with a nine minute game winning drive, it was remarkable to see. This game was one for the ages and I had the time of my life. I’m really hoping that this was the first of many Big 10 Championship games that I will attend and I’m also hoping that I’ll see the streets of Indy flooded with maize and blue as well as hear the phrase “Go Blue”. Nick Saban and the Crimson Tide are in a familiar place, one win away from their ultimate goal. The Florida Gators have overachieved this year, but ever since the Will Grier suspension their offense has been stagnant. No one is giving the Gators a chance in this game,eventhough their defense has been incredible. 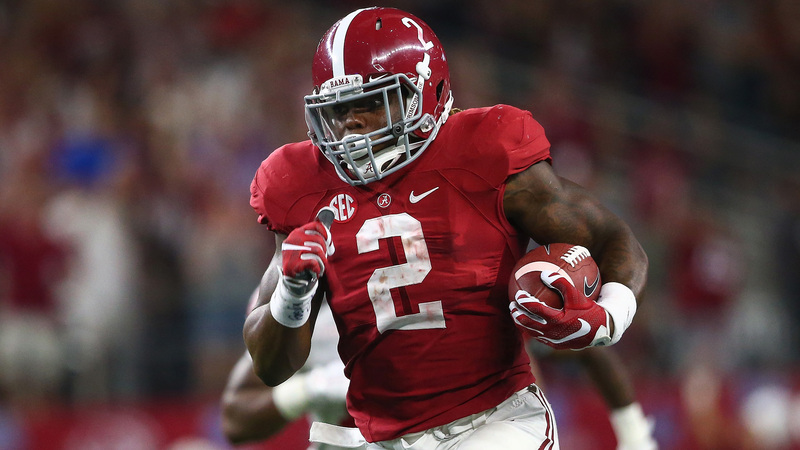 I believe Derrick Henry will have trouble throughout the first half, but break free in the second. I have a feeling Florida will keep it close, but the Tide will roll in the second half and pull away. It seemed like the Pac 12 was down and out when Vernon Adams and the Ducks shocked Stanford in the Farm. If chaos breaks out the Cardinal will be in the best shape to sneak up the polls and jump into the playoff spot. USC has quietly put a nice season together and their high powered offense will give David Shaw’s defense some troubles. 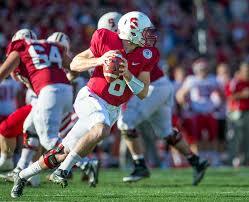 This will be a shootout, but Stanford will once again show that they are the best team in the Golden State. The Big Ten Championship by far has the most stakes, and is a match up of two old school, smash mouth, classic Big 10 football teams. Iowa and Michigan State are both so well coached and they make very little mistakes. The Hawkeyes have had a dream season, the have been the Cinderella of College Football. If Sparty controls the line and gets their run game going, it will be a long day for the Hawkeyes. If Michigan State’s experienced offensive line fails to show up, and gets themselves in third and long, the Spartans are in trouble. 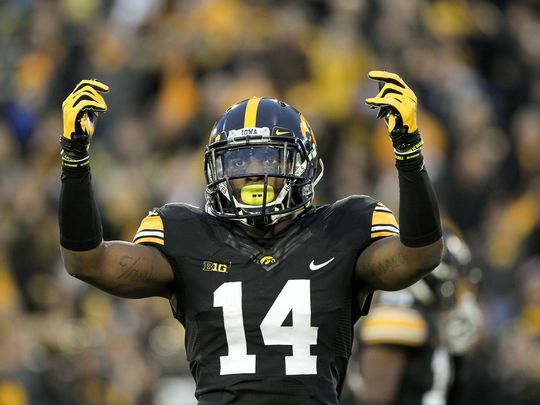 I believe Desmond King will have a day, and the Hawkeyes will be on their way to a playoff game. I will be at the game and hope for an incredible matchup. This is the best game of the day, and probably the best quarterback matchup this year. 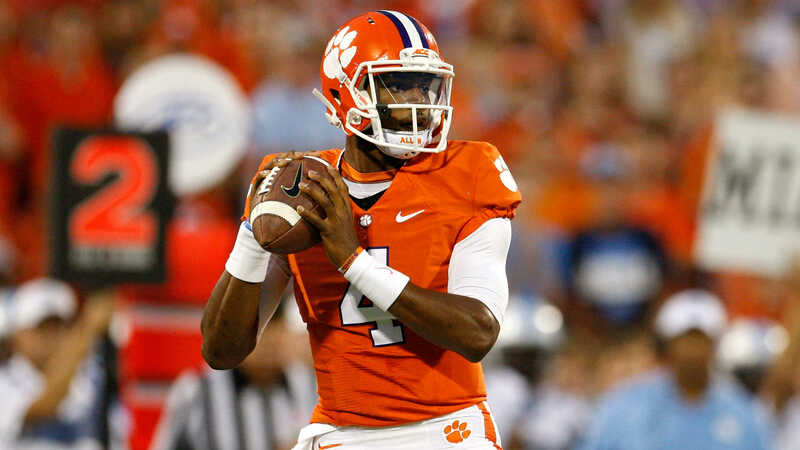 Both Marquise Williams and Deshaun Watson have had the best seasons of their careers. UNC is the hottest team in the country, and Clemson has been persistently great this year. This will be a track meet, and I believe will come down to who has the ball last. UNC has put together a great year, but Clemson has too much talent and will somehow find a way to win this game. The Bowl season is coming to a close, and the BCS Bowls are next and there is a lot to be excited about. 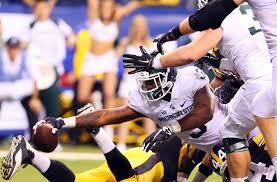 I am going to preview every game and make a prediction starting with the first two, the Rose Bowl and Fiesta Bowl. It is the battle of the Paul Bunyan Trophy. These teams just don’t like each other, they hate each other. What makes this rivalry game even more special is that the winner basically wraps up the Big Ten Legends division. It is the Wolverines offense vs the stifling defense of the Spartans. Michigan has one of the most unpredictable quarterbacks in the country, Devin Gardner. Somedays he looks like he is a Heisman candidate and other days he looks like he could be on the scout team. In Michigan’s impressive wins, Gardner’s QBR has been almost perfect, but in the Penn State game, which they lost, his QBR was horrible. The Spartans are also have some problems. Michigan State has the worst offense in the Big Ten conference and maybe in the country. They say defense win championships. Defense will win this game, but it is not the defense you are thinking of. 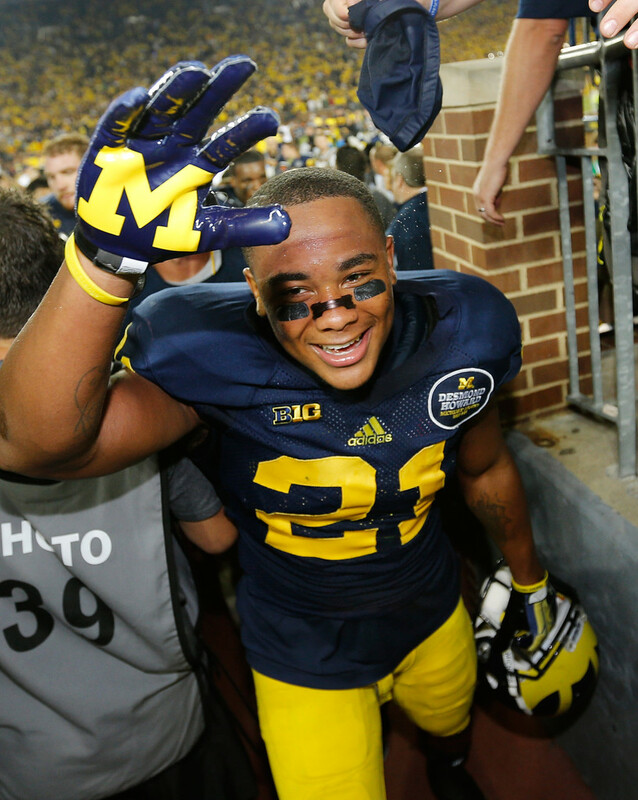 Michigan’s defense will step up and beat old Sparty big. This game will be a old Big 12 shootout. Two teams that know how to spin the ball. The Red Raiders suffered their first loss of the season last week, vs Oklahoma. The Cowboys have finally found a run game. This will be a high flying, high scoring game. I think Tech will bounce back from their loss, but having a solid run game is what will decide this game. 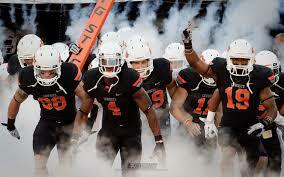 Oklahoma State will upset Texas Tech. 7 Miami vs 3 Florida State: One of the biggest rivalries in college football is finally back to what it used to be. In Vegas they have the Hurricanes as a 21 point underdogs. That is just disrespectful. The Canes have not played their best football in the past two weeks, but when it is a rivalry both teams always play better. The Canes have played down to their competition as well as up to their competition. They have to play exceptional to even have a chance to stay with the Noles. For Florida State, they have a very special freshman at QB. Jameis Winston has been more then perfect. He is only a freshman and he is already second in the Heisman trophy race and is leading his team to what could be a national title. Famous Jameis is amazing but he is also human. Duke Johnson will run the ball all over the Noles. It’s all about the U. I pick Miami to shock the world and ruin any hope Florida State has to got to the national championship.